We’re proud to offer one of the largest ranges of bottled water available for delivery to offices and organisations across the UK. 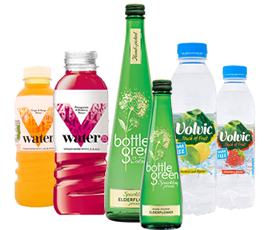 Keep your staff happy and hydrated by stocking up on our convenient multipacks of still, sparkling and vitamin waters – as well as luxury pressés – from brands like Belu, Evian, Highland, Hildon, Perrier, San Pellegrino, TY Nant, Vital, Volvic, Wenlock, SoBe V Water, Glaceau and Bottle Green. 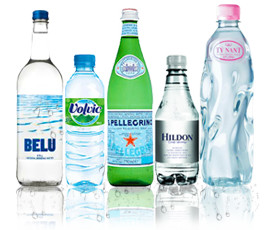 We can supply your business with water in a variety of different sized plastic and glass bottles, and even aluminium cans if preferred. 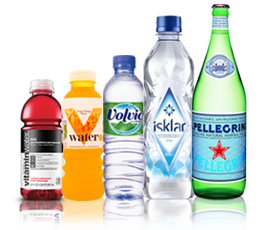 Need bottled water products not currently listed on our website? Contact us – we can source and deliver many other products for a budget-busting price.